Many little girls dream of their wedding day and how perfect it will be. The friends, family, and fun will be captured in photos that will help you remember how wonderful it was to pledge your love and devotion to your life’s partner. A lot of brides want to look their best on their wedding day, especially for the photos, and there are many steps you can take to help accentuate your skin and makeup to look great for your special day. There are also mistakes to avoid making in the days and weeks leading up to your wedding. While photographers can edit out blemishes and other skin issues caused by products or sun exposure, it does increase the cost of your photos significantly. This is a motivator for many brides to want to make sure their skin, makeup, and hair are perfect for the occasion. The following is a list of tips and tricks to helping you and your skin look best for your wedding day, and mistakes you can avoid. One of the worst things you can do for your skin is drink the night before you’re going to be taking professional pictures. Alcohol can make you look puffy, bloated, and for some people, it flushes the skin. For some men and women, even a glass of wine or champagne can impact the health of their skin for up to 24 hours, especially if they struggle with rosacea or an autoimmune issue like eczema or psoriasis. Alcohol is an inflammatory agent, and it can easily aggravate skin conditions. If you already know that your skin looks unhealthy the day after drinking alcohol and you still want to have a few drinks the night before your wedding, use a face wash for sensitive skin and a body wash for sensitive skin in the morning. These will help clear out your pores, seal in moisture, and reduce any flush that might still be in your cheeks, neck, or chest area. Lock in the hydration by using a lotion or moisturizer with Aloe Vera, which will also help to reduce inflamed areas of skin. Do not go tanning the day before your wedding. It’s worth repeating: do not go tanning the day before your wedding. In the excitement of the planning, brides tend to overdo the last tanning session and end up burned. While lobsters are great for the main course, looking like a lobster on your wedding day isn’t the greatest memory. If you and your significant other plan your bachelor/bachelorette weekends a week in advance somewhere sunny, keep in mind that overexposure to the sun can result in a peeling bride and groom the following week. Limit your sun exposure and be careful with tanning for up to 2 full weeks before the big day. Most makeup artists will offer you a free or reduced trial session to help show you the quality of their work, and to find the best look for your hairstyle and wedding dress. Wedding photographers and many former brides cannot emphasize the importance of taking advantage of this trial makeup session enough. While it’s important to see the skills and style of the makeup artist, it’s equally important to make sure you are not allergic to any of the makeup components. If you are prone to acne, some makeup products can make acne worse by clogging up the pores or interacting with your skin chemistry in an unfortunate way. If you have dry skin or oily skin, your makeup artist may have to play around with the best concealer for dry skin or primer for oily skin to ensure that the makeup works for your features. If you can, coordinate your makeup trial with your wedding photographer to take some photographs with the correct makeup and lighting. If you’re using a primer, there should be coverage without shine in the photos. If you have dry skin, the photographer and makeup artist will want to ensure there is no caking or bunching that can appear in photographs. Your photographer will also want to ensure that the concealer for dry skin is properly covering dark circles under your eyes in all lighting. Finally, ladies, it’s OK if your makeup artist goes a little heavy on products around the eyes and lips. This will help your features be more pronounced and striking in photographs, instead of looking washed out or too blended with the rest of your skin. It’s always ideal to seek out natural products when you’re looking to add items to your skin and beauty regimens. Natural products are less likely to contain chemicals which can interact negatively with your skin, and they are less likely to disrupt the natural moisture barrier of your skin which can dry you out. There are many reputable companies who work hard to create natural products you will rave about for years. Look into natural makeup, natural body wash, natural face wash, and natural moisturizers when you’re ready to switch up your routine. One of the many mistakes brides make in the days leading up to their weddings is trying out a new product right before the big day. 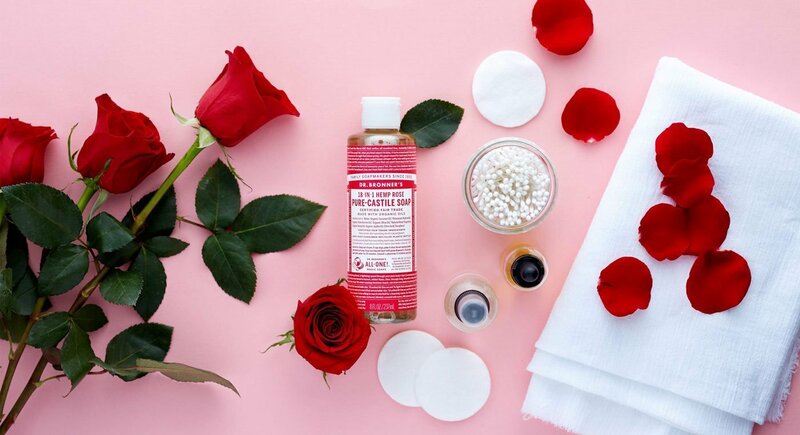 If you have never used a skin care product before, seeing how it works right before a huge occasion is not the best time for trial-and-error experiments. If you’re considering a new skin care product, begin using it at least 4-6 weeks before your wedding day. This way, if you’re allergic to any of the ingredients, or if over time it begins to over-dry or create oily textures on your skin so that you begin to break out, you’ll have plenty of time to stop using the product and clear up the effects. If you struggle with dry skin, especially dry skin patches on your face, begin by using a face wash for dry skin that will protect your skin’s natural pH levels without breaking down your natural moisture barrier. The face wash should be a gentle cleanser for your pores, but not so harsh that the cleansing process ends up over-drying your skin. 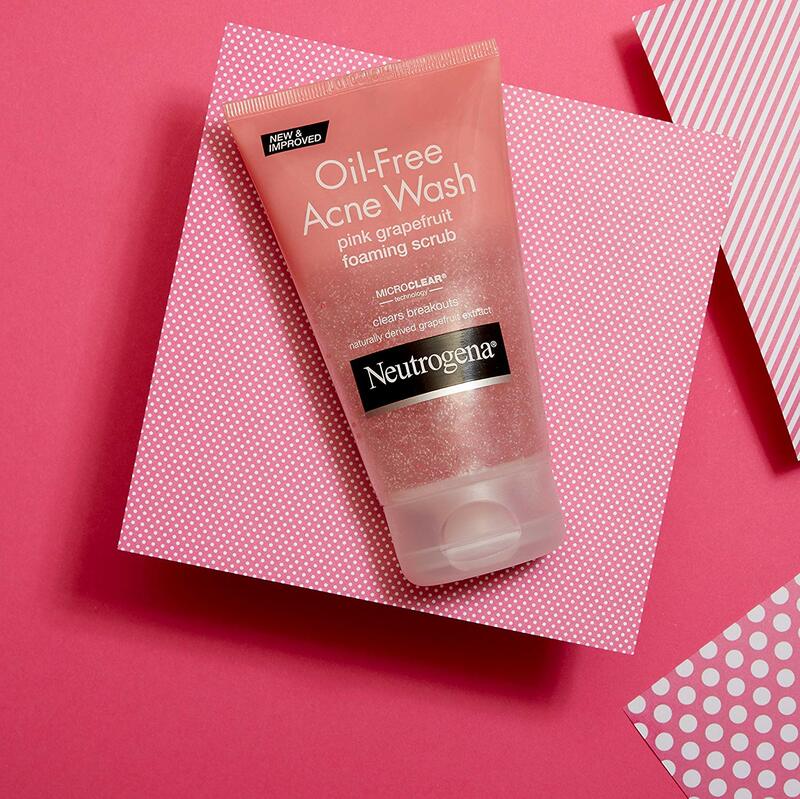 Use this face wash twice daily, and you should see results in a few days. Your skin should look brighter and more healthy, which will reflect well in your photographs. Follow the face wash regimen with a body wash for dry skin each day in the shower. Remember, don’t let the shower get too hot, which can also worsen dry skin symptoms. Instead, use the body wash in a warm shower daily, and follow it up with a moisturizer specifically formulated for dry skin to help hydrate your pores. Many body wash and moisturizer combos boast up to 48 hours of moisture layer protection, which means that you won’t have to worry about dry skin on your wedding day at all. If you’re more of a soap girl, there are lots of bar soap products and hand soap for dry skin. Likely, your photographer will want to take pictures of you holding the bouquet and your rings. The skin on your hands for the big day will be just as important, and you don’t want to over-dry your skin as you wash your hands daily. Keep a dry skin soap on-hand in the days and weeks leading up to your wedding, and you’ll be sure to have smooth-looking, bright hands for those pictures. Whether its aging, sun damage, or genetics, we all have marks on our skin that sometimes we wish we could reduce the appearance of. Skin whitening cream is an excellent way to reduce the appearance of freckles, age spots, acne scars, and other problem areas. Skin lightening creams reduce melanin in the area of the skin which is producing these dark marks. Cocoa butter, belly butter, shea butter, and rosehip seed oils are excellent products for lightening acne scars and stretch marks. Many women have stretch marks on the backs of their arms from rapid weight loss or gain, or rapid growth during puberty. Brides, especially those planning to wear strapless gowns, can use skin lightening cream or the butter products to help lessen the appearance of these stretch marks. While we often hope we’ll grow out of acne once we’re out of our teen years, the truth is that acne can follow us even into our 30s and 40s. For women, acne can also be more severe with hormone changes throughout the month and affect areas of the face and body more often during these times. The best way to begin tackling acne and preventing it from appearing on your wedding day is to begin with a twice-daily face wash for acne prone skin. This will cleanse your pores, remove makeup, and get rid of dirt and grime from the day. If you can, try to find an acne face wash that doesn’t over-dry your skin, although it might be difficult if your acne is severe. If you need a harsh cleanser, follow it up with a dry skin moisturizer that is recommended by dermatologists to not clog your pores. You should also invest in a body wash for acne prone skin to take care of pesky acne that can pop up on your chest, back, or arms. From there, use makeup that won’t clog your pores and is specially designed to address acne-prone skin. A breathable foundation, hydrating concealer, and a good primer are all great places to start. Make sure to try all of your acne products at least 4-6 weeks before your wedding day so that any adverse effects can be addressed and are no longer visible. Like a makeup stylist, your hair stylist will probably offer a free or discounted trial. Usually, this can be accomplished in conjunction with your makeup stylist and photographer. Take your stylists and photographers up on any offers for trials, as it will help eliminate any nasty surprises on your big day. Much like the makeup trial, you’re also making sure that the hair products your hair stylist is planning to use won’t make your scalp or forehead break out. If you have dry, thin hair, or if you have thick hair that you just want to look healthier, consider looking at products with vitamins for hair growth. Your hair needs Vitamins A, B, C, D, and E, along with zinc, iron, and protein in order to grow, look healthy, and be strong for the rough heat styling that usually comes along with wedding hairstyles. Other ways you can help your hair prepare for your wedding day is to apply a hair mask weekly, use lukewarm or cool water when rinsing your hair in the shower, and reduce your hot styling products. Your hair is going to go through a lot of trauma in the styling process, both during your trial and on your wedding day morning. If you can prepare it with vitamins for hair growth, reducing heat products, and strengthening it with a weekly hair mask, it will look great on your wedding day and recover nicely for the honeymoon. The best time to get your makeup and hair done is in the morning, after you’ve completed your skin care regimen. This way, the only thing you will have to do is step into your dress once you’ve arrived at the venue. If you’ve utilized a good face wash, body wash, and moisturizer, you won’t have to worry about dry skin for the whole day and night. You can feel confident that your skin will look beautiful for your spouse, your guests, and your photos all through the night. Your wedding is your time to tell your partner how much you love them, and to share in the joy of your commitment with your closest family and friends. At the end of the day, this wedding is about the two of you, and it should be one of the happiest moments of your life. Your happiness will be the most noticeable aspect of your skin, and if you let that happiness shine through, you will love reliving that day through photos for years to come.